Over the last decade we have seen almost all of the larger Arab countries face a crisis that has significantly weakened their political system; from Egypt to Algeria and from Iraq to Syria. The only strong Arab country that has not faced a serious crisis is Saudi Arabia. Mohammad Bin Salman (MBS) the current Crown Prince of Saudi Arabia has served as the Minister of Defense, a role during which he took an aggressive position in Syria and war in Yemen started. It was also during his tenure that the GCC faced a crisis around Qatar, which led to a wider regional political conflict between the Saudis and two regional powers in Iran and Turkey. 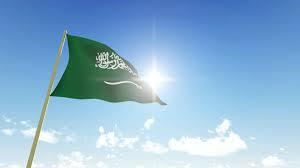 Politically, Saudi Arabia could develop critical challenges with these conflicts ongoing, especially with the internal dynamics of the country, where they are working hard to maintain stability in a tumultuous situation. Internally they are facing cultural change, economic reform and hardship which are increasingly difficult to address with the ongoing pressure of playing a key role in regional conflict. The best thing for internal Saudi politics would actually be to focus on bringing regional conflict to an end, starting with Syria. In fact, it would be in the Saudi’s best interests to bring Syria back into the Arab League. A stable region creates opportunities and growth, both economic and social. The smart play for Saudi Arabia is to take the lead on reconciliation from Syria to Yemen, the stability will not only cease to be a drain on resources, but will create economic opportunities in the rebuilding. If Saudi Arabia can play a significant role in ending these crises, it could also reshape the political equilibrium with countries like Iran and Turkey. While it is unlikely to see strong relations between the Saudis and Iran, but further escalation and potential negative outcomes can be avoided. Moreover, Saudi Arabia needs to show superb diplomatic skills to face the international pressure to obtain explanations regarding the Saudi journalist Jamal Khashoggi who stepped inside the Saudi consulate in Istanbul but never stepped out. MBS’ ambition to become king requires a different style of politics. He has already demonstrated his capability as a ‘prince of war’, but he must also recognize that to achieve his goal he needs to temper these perceptions so he can be a ‘king of peace’. In order to achieve this, his actions today must focus on reconciliation rather than the politics of escalation.